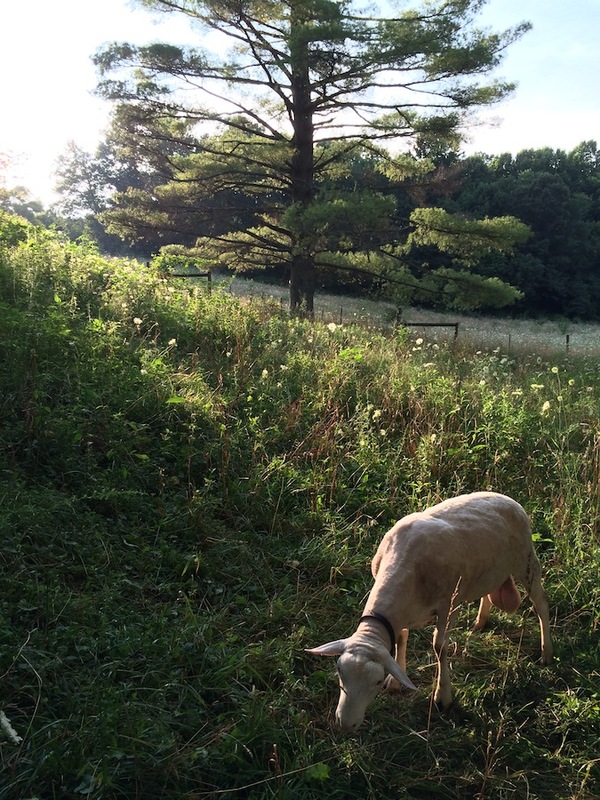 This is the story of how I learned how to properly care for our pastures. 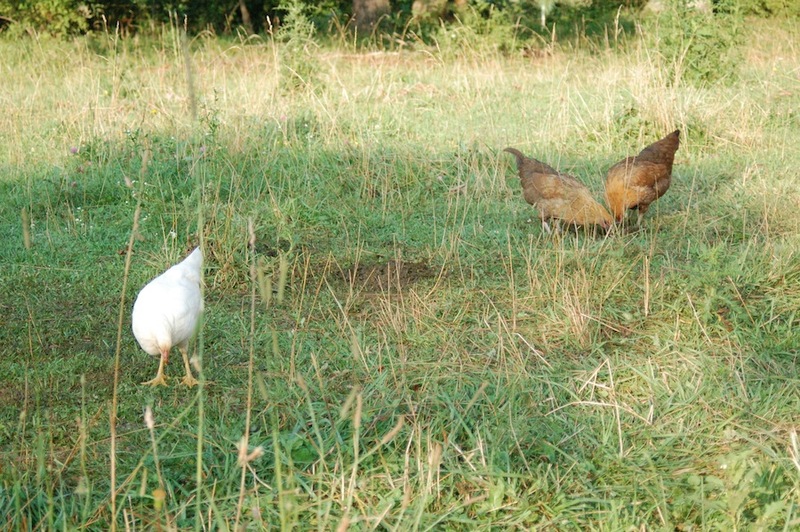 When we first put livestock on our property in 2013, we fenced 1 acre to start (out of 3 that were in pasture) and continuously grazed with a few calves and chickens. When the forage ran out, we dumped hay into the field. 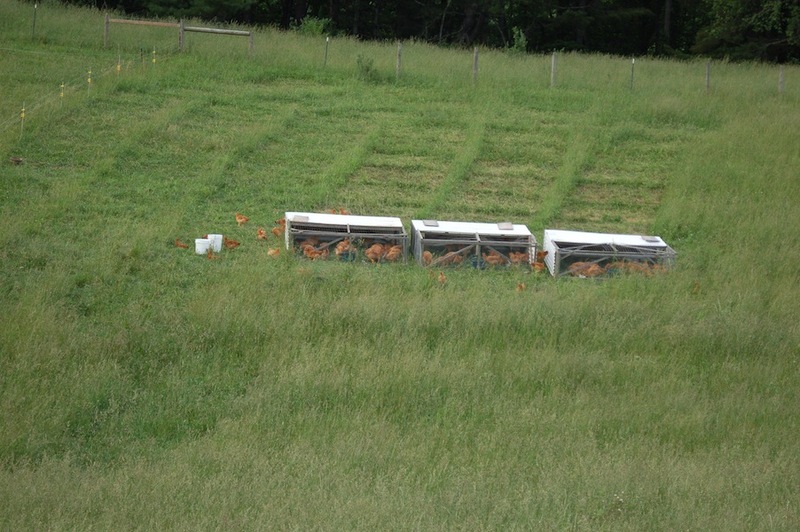 This method ended up being hard on the animals (due to parasites) and hard on the field. 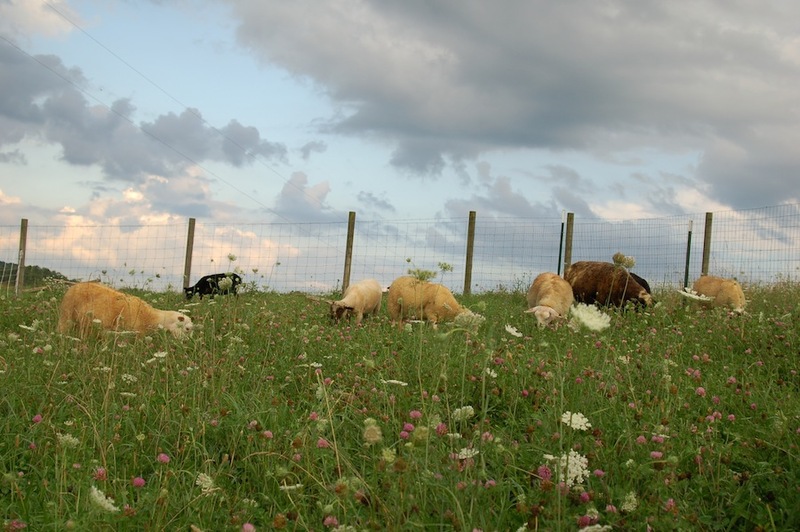 The animals ate the tops off of their favorite things first–such as clovers and young grasses–and when they’d eaten one bite off of each favorite plant in the whole field, they’d just go around and eat another bite. Soon, these favorites were only an inch high. 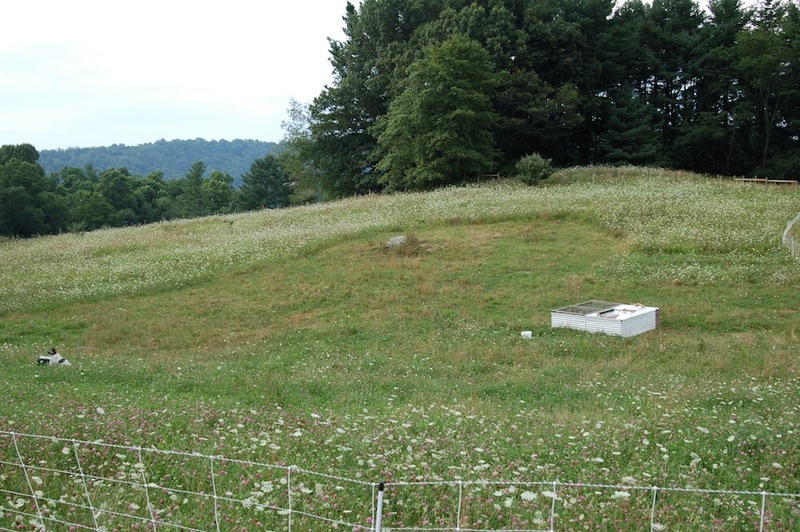 The things they didn’t like–such as thistles, burdock, and mature grasses–were untouched. These unliked plants grew tall and went to seed and multiplied themselves. 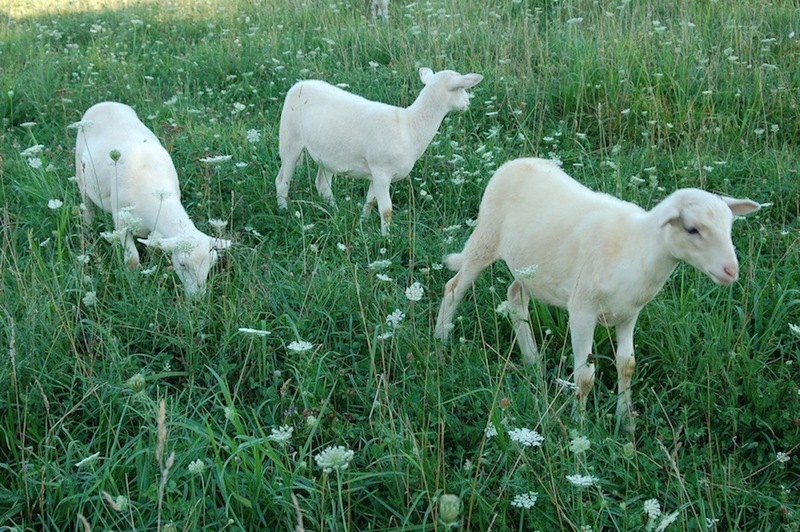 In 2014, I had added sheep and things were starting to become overwhelming. 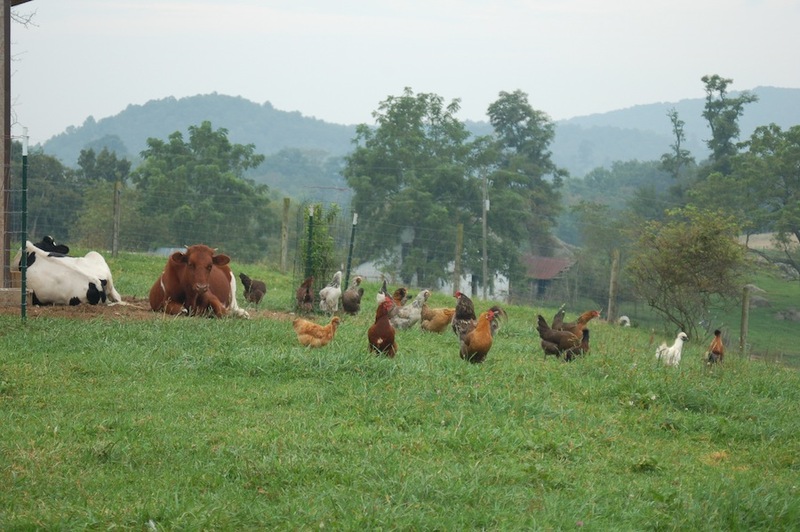 I put in a barnyard and another small field, so that I could rotate the animals through two paddocks, and then put them in the barnyard with hay to let the pastures rest. I realized that if we continued on this path, we would have a field of things that livestock really didn’t like to eat, a field that looked scrubby and worn down, a field that eroded bits of itself every time it rained, a field that wasn’t even pleasant to walk in. But honestly, we had no money for cross-fencing because we hadn’t put in our perimeter fencing yet. 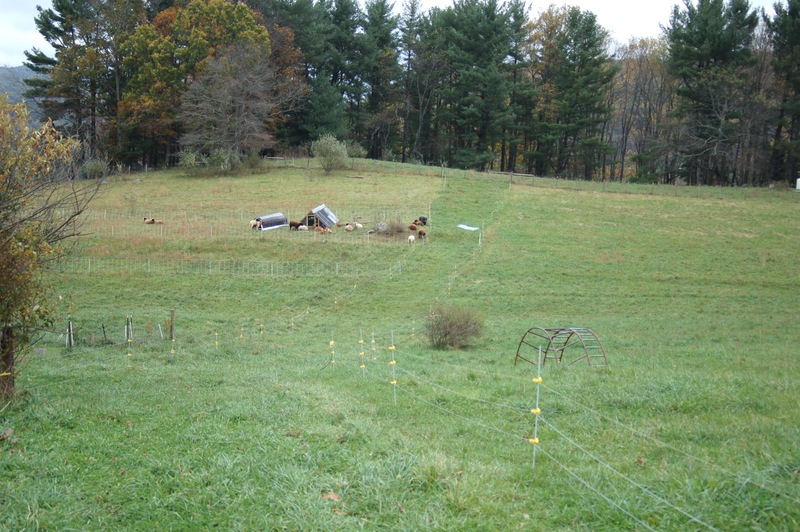 When I calculated the price for woven wire paddocks, the cost was astronomical. 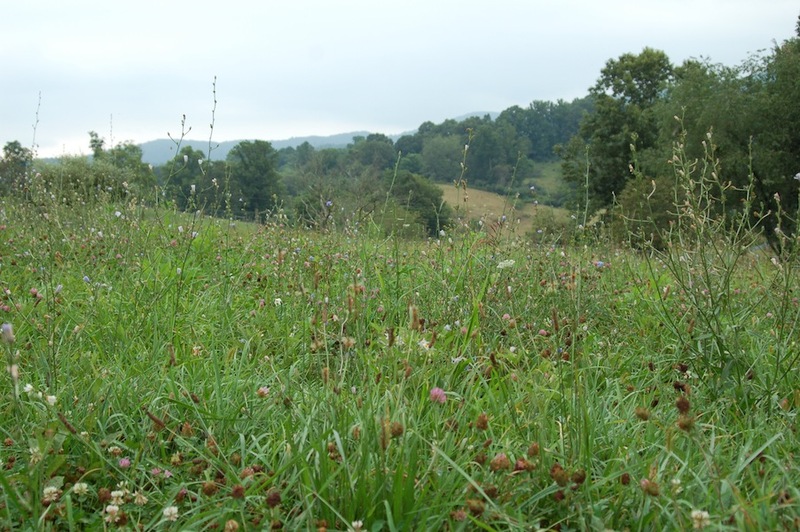 Instead, we purchased some clover and frost seeded for the next few years in the hopes of improving the pastures that way. 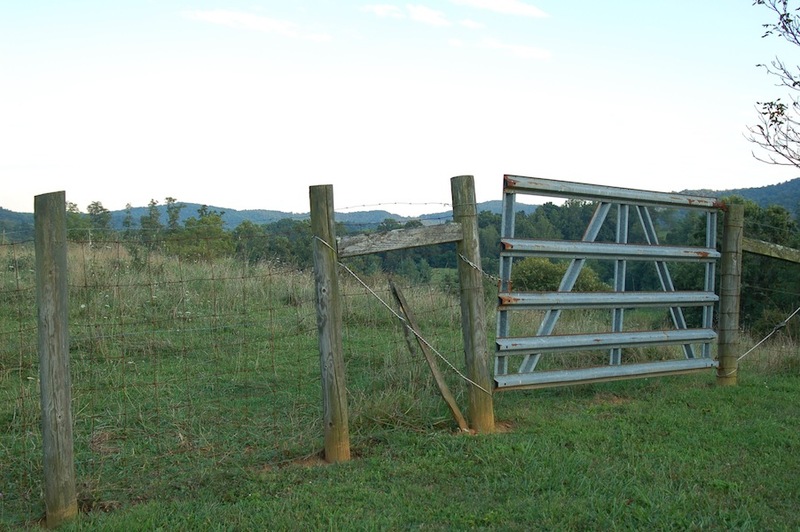 With the help of our new neighbors, we fenced the rest of our acreage in time for the 2015 grazing season. 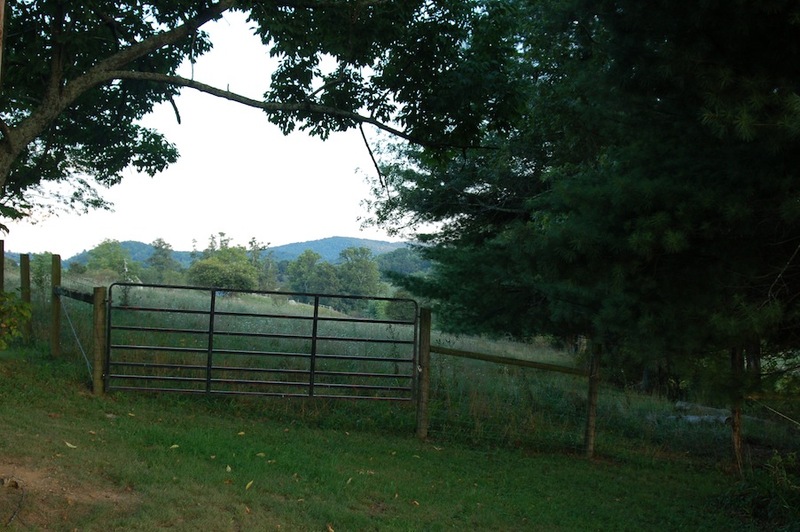 Now we had the original, abused 1 acre field, and the 2 acre field that had been used for cattle and hay for years, then left fallow for all of 2014. We had a few more sheep, and no more cattle. 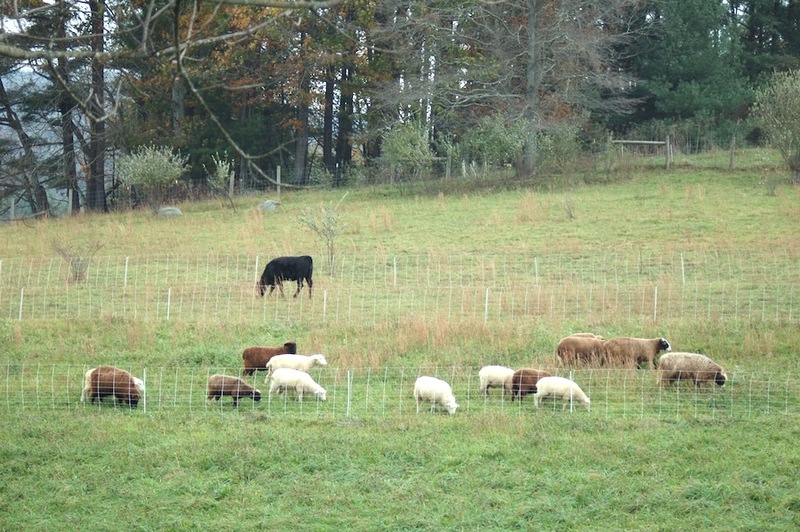 We ended up grazing the 1 acre down pretty low routinely, and then rotating the flock to the 2 acre field. The land continued to look poorly, the 1 acre field getting overgrazed as before, the 2 acre field being severely undergrazed all year. Even if we rested the fields for 60 days, there wouldn’t be much re-growth. After more research, I discovered the solution to our problems. We needed to divide our field up into paddocks, but still couldn’t afford permanent woven wire field. Sheep didn’t usually stay in high tensile, electric or not. 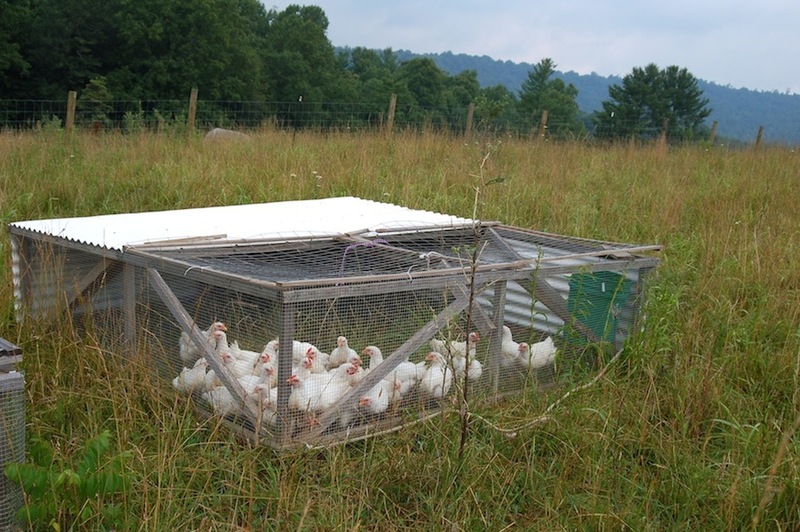 We needed something that was affordable and worked well with sheep, so I sold a few ewes and invested in two rolls of electric net and a solar charger. At the time, I had no idea how electricity worked. 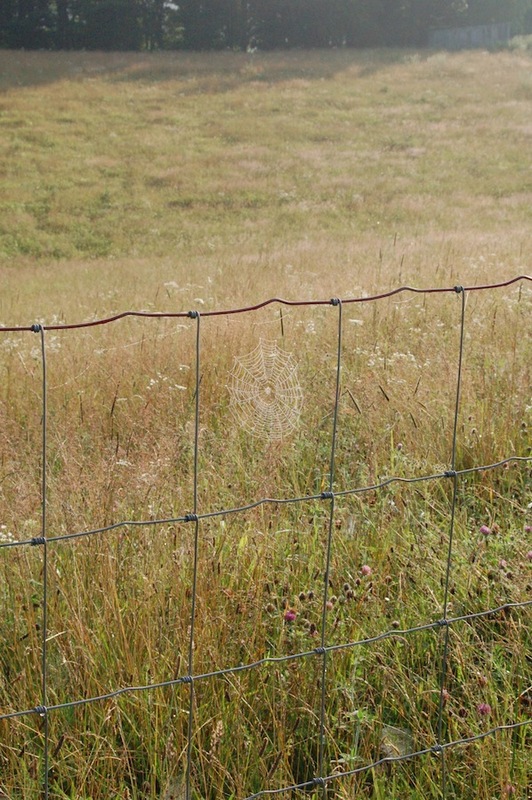 I also had no idea how electric net fencing worked, or if it would actually contain my sheep. And were the benefits of paddocks, to the land and to the animals, really worth all this cost? 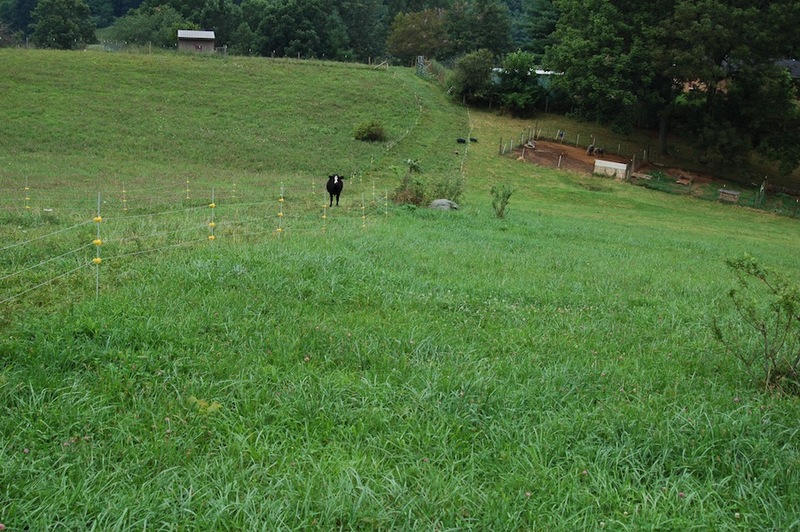 That year, in the summer of 2016, I started using the electric net to create paddocks. We immediately saw a difference. 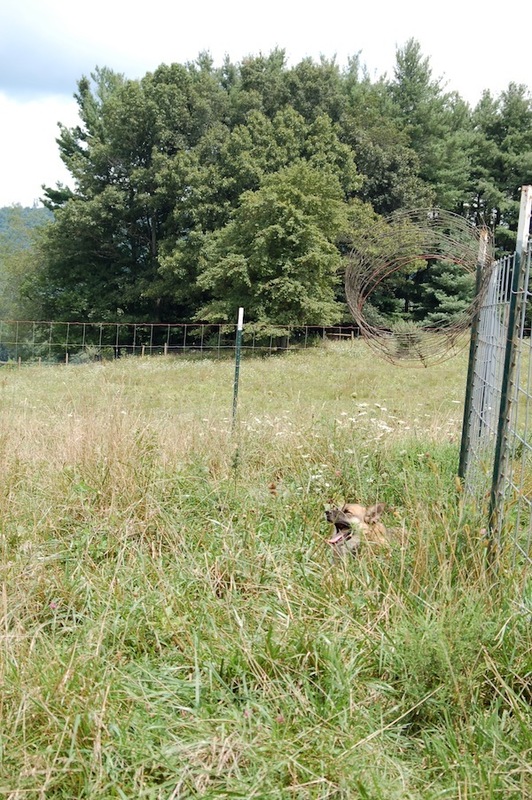 We were able to use two strands of net to create uneven shapes in the fields, using the perimeter fencing as the base, and eyeballing where the sheep had grazed before. 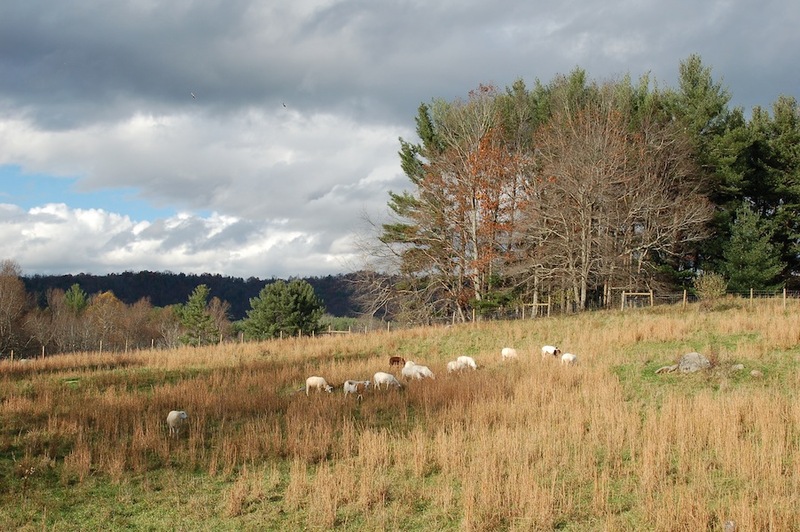 Each of these paddocks was probably 1/4 to 1/8 of an acre, so when we put our flock of sheep in, they were forced to eat everything, not just the things they liked. There just wasn’t enough stuff in there for them to get to pick and choose, they wanted to fill their bellies! 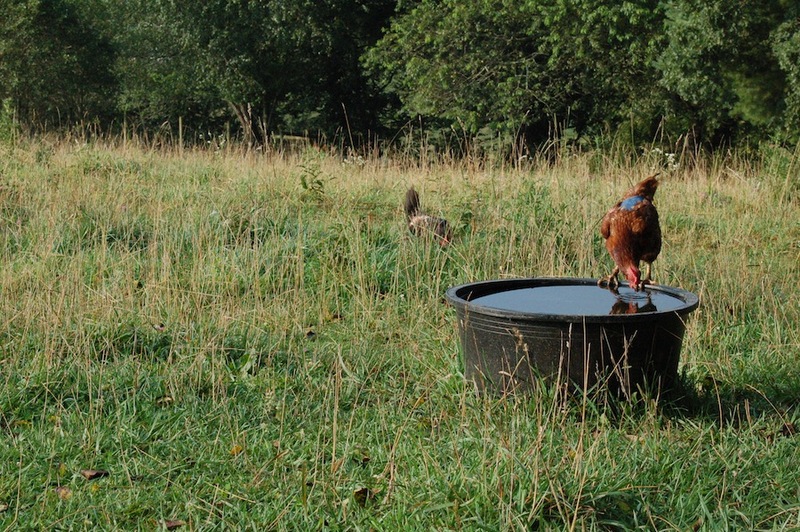 This also concentrated the manure, and allowed the sheep to trample some of the plants that they didn’t enjoy into the soil as organic matter. 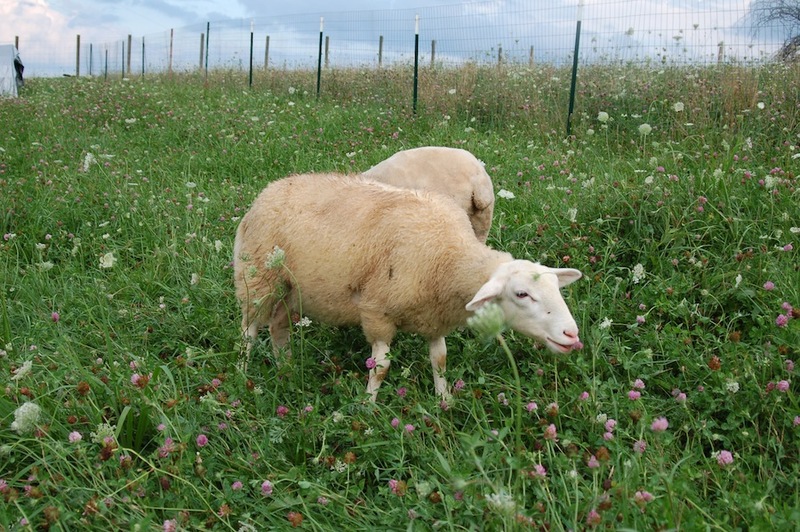 While the sheep grazed one paddock, all the rest of the land could rest and grow at an even pace, which meant that we had a higher quantity of tall forage that the sheep enjoyed eating than in years past. 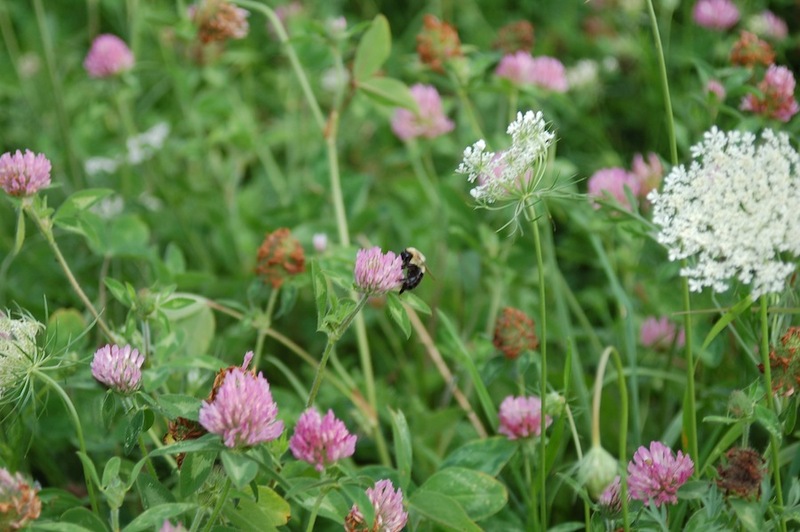 All the clover we had seeded over the years was able to grow to 12 inches high, and some of it was able to seed itself again. Then the sheep would graze it down, deposit their manure, and move onto the next paddock. We were working in the way that nature works: a large concentration of stock, sticking close together for predator protection, descend upon a field and eat it in small sections, moving as they devour, leaving poop in their wake to fertilize the fields once they have moved on. For 2017, I got serious about strips. 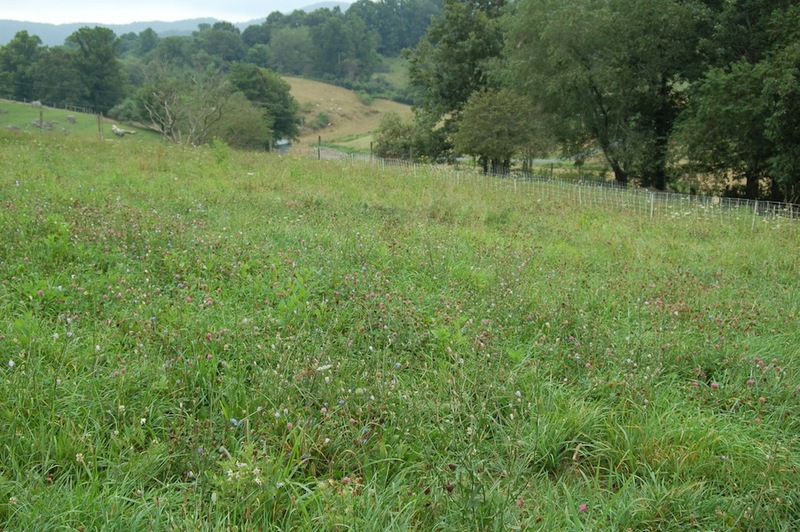 I decided that the paddocks needed to be in even strips that I could manage and see what had been previously grazed. 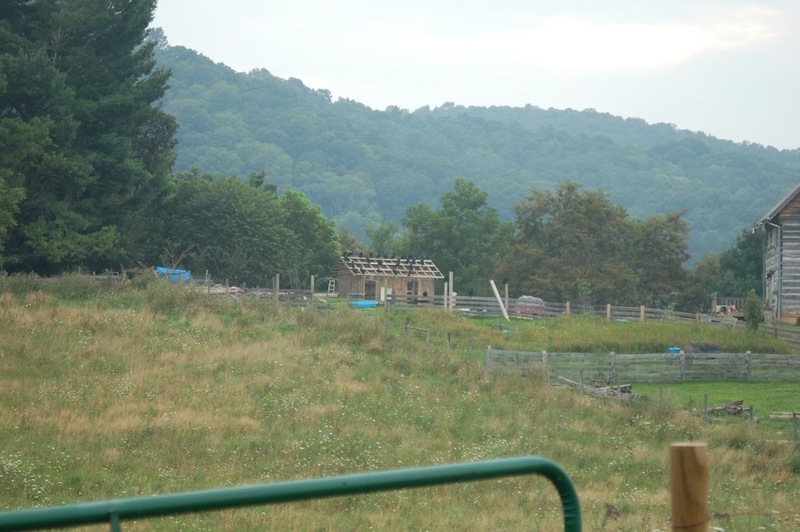 I also added an aisleway to the field so that I could move sheep to and from the barn easily, without them contaminating the fields that were resting with impromptu grazing or manure deposits filled with parasites. I added cattle back to the rotation, since we suddenly had 4 times the amount of forage we’d had any of the previous years. 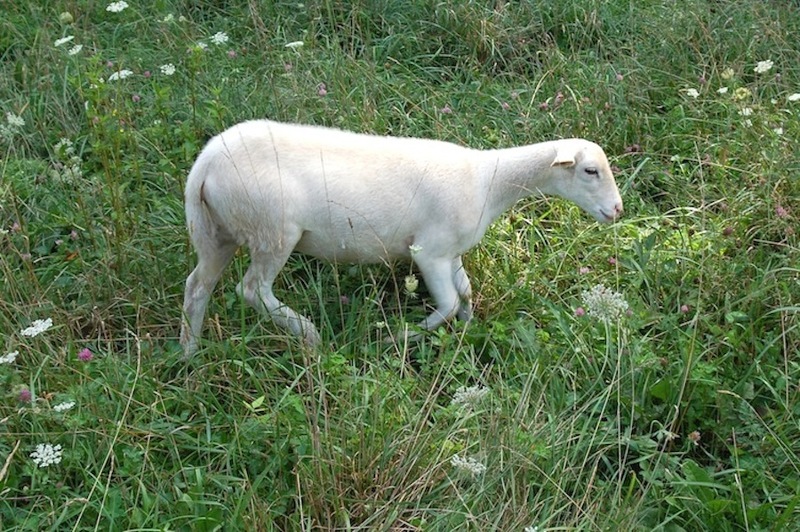 I even used my new riding lawn mower to mow the fields flat after the livestock had grazed them (reason being that if there were any undesirables like thistle or burdock that they still hadn’t trampled or eaten, that I could try to keep it from going to seed). 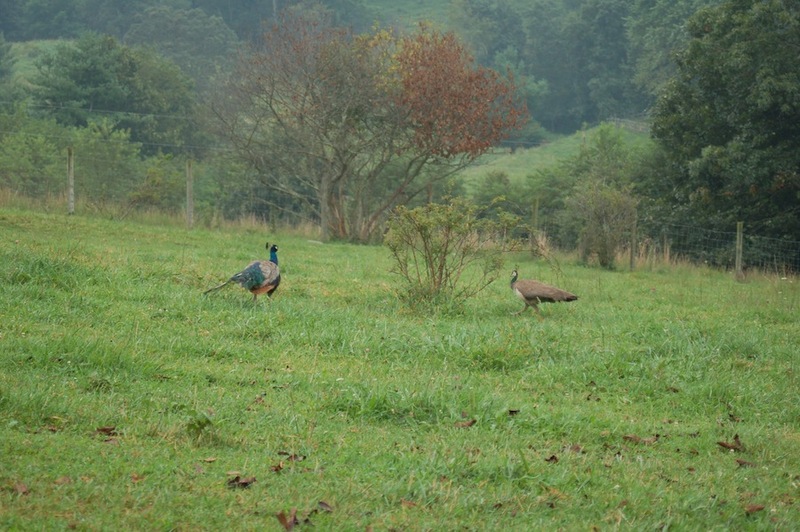 This year, with rotational strip grazing, we have seen the best from our fields. 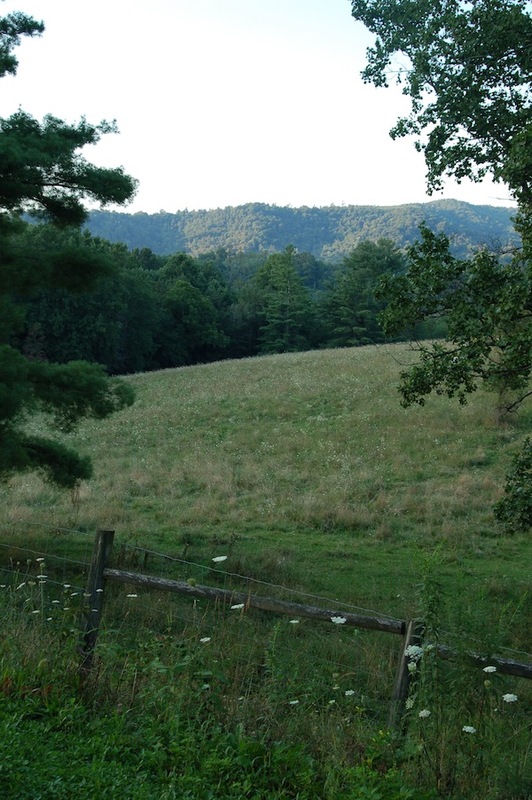 We have more forage than ever before, that grew taller and more plentiful than I’ve ever seen. 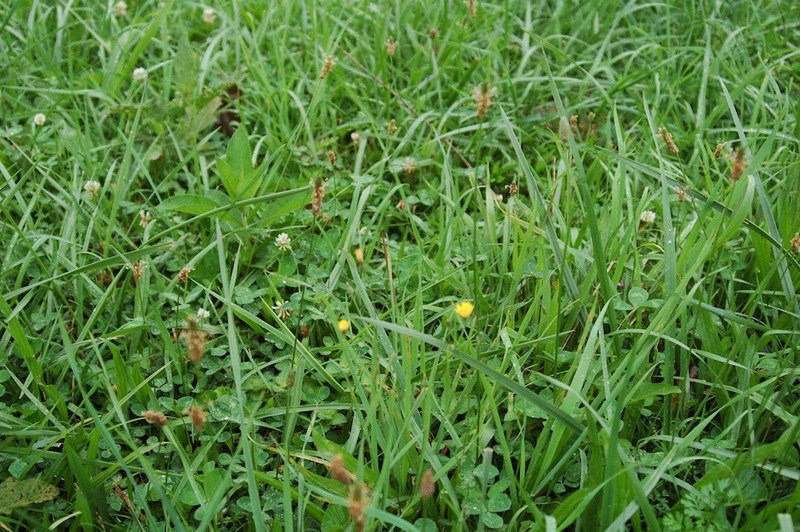 In the peak of the season, after only 30 days of rest, I saw over 12 inches of forage growth in the 2 acres. I hope that as we build organic matter over the years, and continue this form of management, that we will see even more improvements to our land. Still grazing at the end of October. 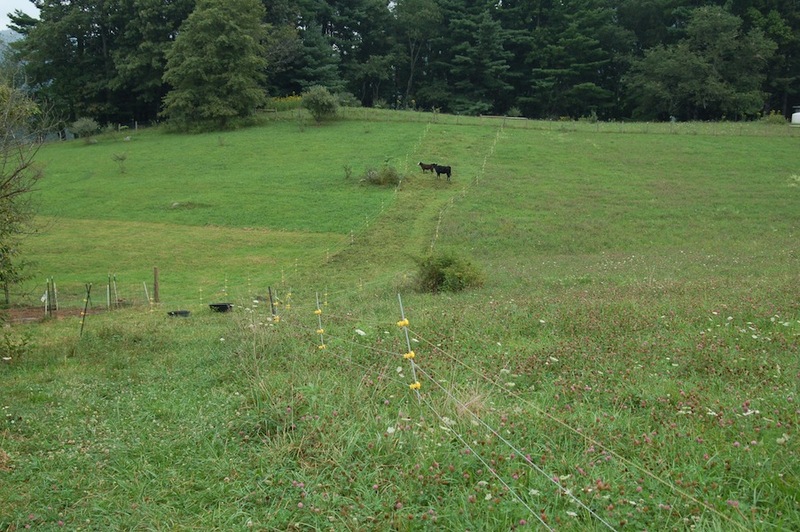 Closeup of electric net paddocks in the fall. Previous postWe’re still here, with meat galore. 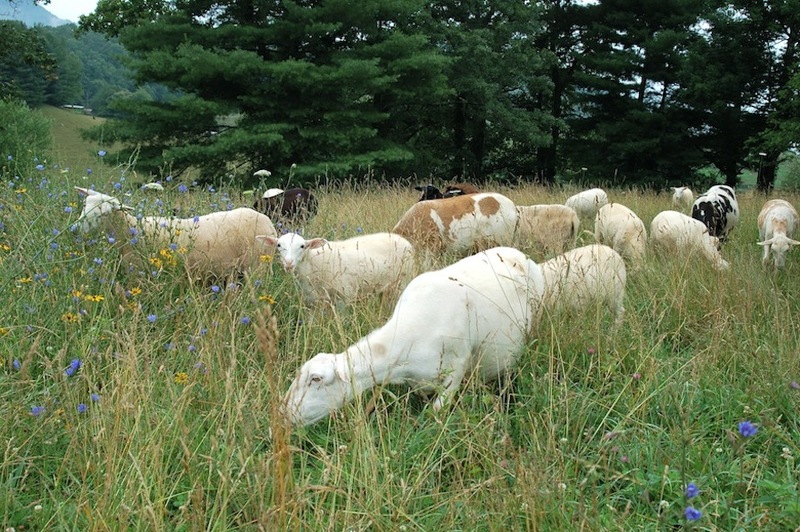 Thank You for sharing your experience w/ rotational grazing. 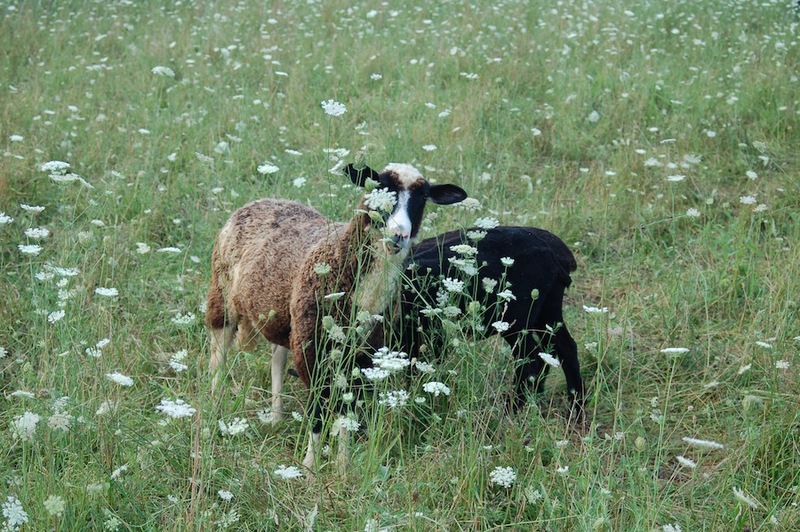 It is the key to improving pastures. We have used it also w/ great results. Educating others is a key principle of our future as small farmers & you have done an excellent job here of doing that. Kneeling down & feeling & seeing the diversity will convince others.